Reliable & Trusted Builders in Wrexham. Domestic & Commercial. Building services include extensions and home refurbishment. Contact Us Today. 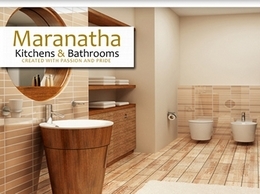 Maranatha Kitchens and Bathrooms operate throughout North Wales, Wrexham, Chester and the surrounding areas. They offer a wide range of services including kitchens, bathrooms, home office and much more.